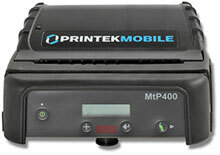 The Printek MtP Series: MtP400 has been discontinued. No direct replacement is available. 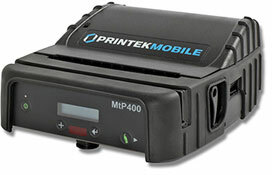 Mobile Printer, 203 dpi, Direct thermal Print Method, Regulatory Approvals: FCC Class B, CE mark, UL listed AC adapters, E-mark on In-Vehicle adapters., Package Contents: Printers ships with a Battery, a Hand Strap/Belt Loop, and one Roll of Paper. Cables and power adapters should be ordered separately. 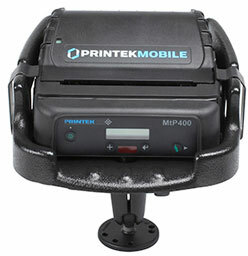 MtP400 Wi-Fi with Magnetic card reader Mobile Printer, 203 dpi, Direct thermal Print Method, Regulatory Approvals: FCC Class B, CE mark, UL listed AC adapters, E-mark on In-Vehicle adapters., Package Contents: Printers ships with a Battery, a Hand Strap/Belt Loop, and one Roll of Paper. Cables and power adapters should be ordered separately. 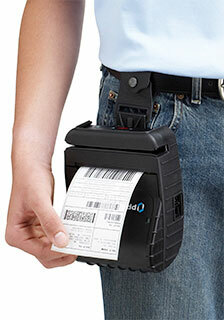 MtP400 IrDA with Magnetic card reader Mobile Printer, 203 dpi, Direct thermal Print Method, Regulatory Approvals: FCC Class B, CE mark, UL listed AC adapters, E-mark on In-Vehicle adapters., Package Contents: Printers ships with a Battery, a Hand Strap/Belt Loop, and one Roll of Paper. Cables and power adapters should be ordered separately. 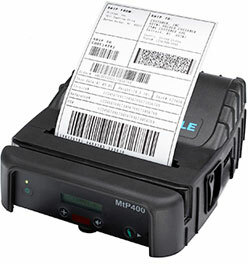 MtP400 Bluetooth with Magnetic card reader Mobile Printer, 203 dpi, Direct thermal Print Method, Regulatory Approvals: FCC Class B, CE mark, UL listed AC adapters, E-mark on In-Vehicle adapters., Package Contents: Printers ships with a Battery, a Hand Strap/Belt Loop, and one Roll of Paper. Cables and power adapters should be ordered separately. 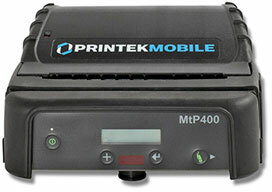 MtP400 with Magnetic card reader Mobile Printer, 203 dpi, Direct thermal Print Method, Regulatory Approvals: FCC Class B, CE mark, UL listed AC adapters, E-mark on In-Vehicle adapters., Package Contents: Printers ships with a Battery, a Hand Strap/Belt Loop, and one Roll of Paper. Cables and power adapters should be ordered separately.